BC Family Day — Go play together! Getting out as family can sometimes feel like more of a chore than a fun activity — but on this Family Day it can be a chance to forget the tantrums and just be together. We’ve selected some of the city’s best events to take off from the hustle and bustle of life and go play in Vancouver and Whistler. What better way to spend Family Day than to flee the city for the entire weekend? BC residents receive 50% off lift ticket on Monday February 9 and can book a long weekend get away for only $209 per night. 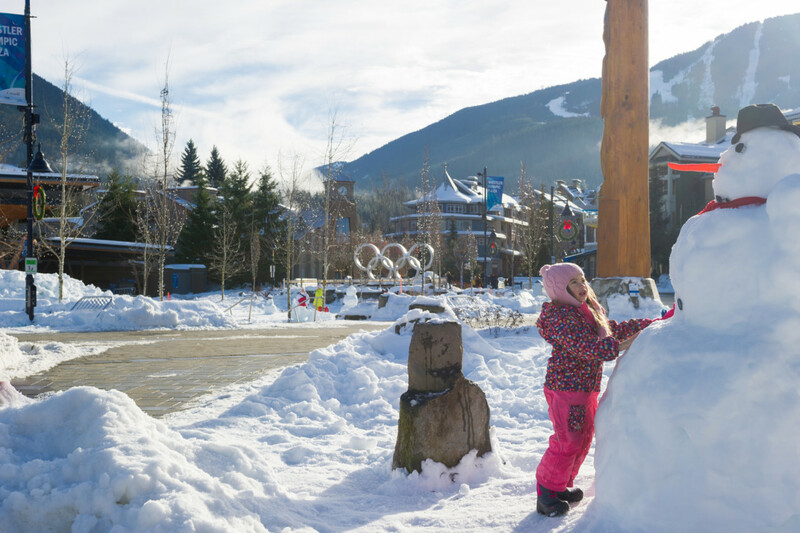 There are many activities to experience together on the mountain such as Whistler’s new family Wonder Route – pick from a selection of ski runs, perfect your skills in the terrain park or take the kids to the Magic Castle. If that’s not enough to keep you busy, Whistler’s master snow sculptors will be creating a full size truck out of snow right outside the Roundhouse on Monday. For further details and to book accommodation, visit here. Winter isn’t over yet so get outside with the family to skate and Robson Square ice rink anytime between 9am and 9pm. Skate rentals are free and this Family Day there will be plenty of free hot chocolate from 12pm to 4pm. With great music hits to keep everyone in the groove you won’t want to miss this Family Day fun on the ice! Grouse Mountain :: Family Day of Fun! This Monday, Grouse Mountain is granting everyone all-access to the mountain for 50% off! Jump on the SkyRide to the Peak of Vancouver to skate, ski or just enjoy the beautiful city skyline from a different perspective. Grouse Mountain is only 15 minutes away from the downtown core and is a great Family Day adventure. Pack your pillow and sleeping bag for a night under the sea this Family Day! After the Aquarium has cleared out for the day, continue the adventure in their behind-the-scenes labs by playing with sea stars, sea urchins and anemones. In the morning watch the Aquarium awaken for a new day by touring the Wild Coast exhibit and the Graham Amazon Gallery. For pre-registration details please call: 604-659-3552 or email programs@vanaqua.org.